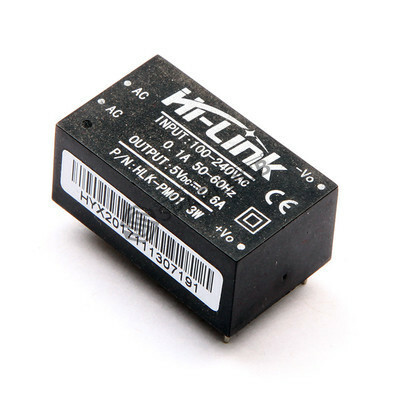 This 5V/3W SMPS Power Module Hi-Link is PCB mounted plastic enclosed isolated switching step-down power supply module. 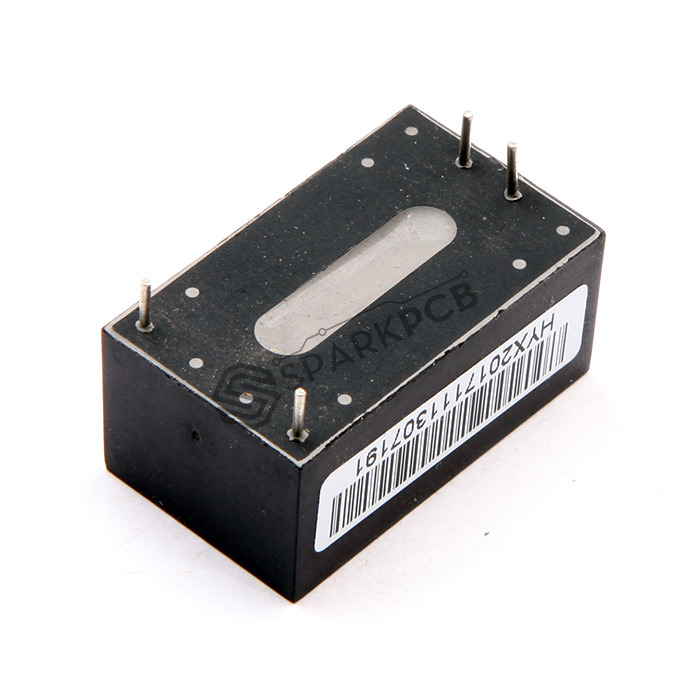 It can supply 5V DC from 120V AC - 240V AC and has a power rating of 3 Watt. This makes it perfect for small projects that needs a 5 volt supply from mains. 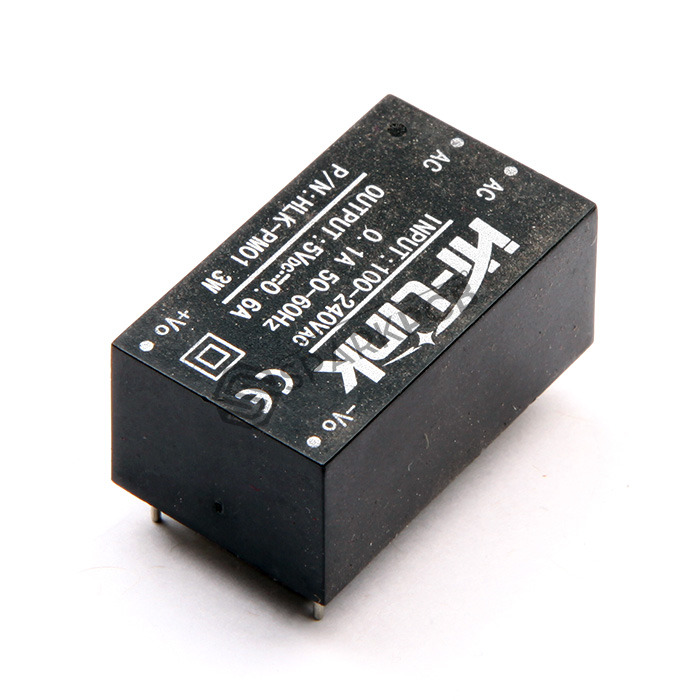 There are many advantages for these modules, such as low temperature rise, low power, high efficiency, high reliability, high security isolation etc. It is widely used in smart home, automation and control, communication equipment, instrumentation and other industries. 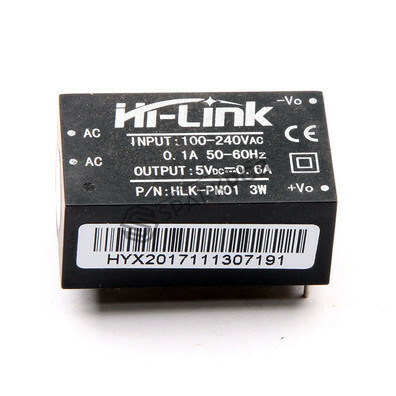 Input Voltage: 90 to 240V AC. Short-term maximum output current: 1000mA. Low ripple and low noise. Output overload and short circuit protection. High efficiency, high power density. The product is designed to meet the requirements of EMC and Safety Test. Low power consumption, environmental protection, no-load loss <0.1W. Size: 33 x 19 x 15 mm.